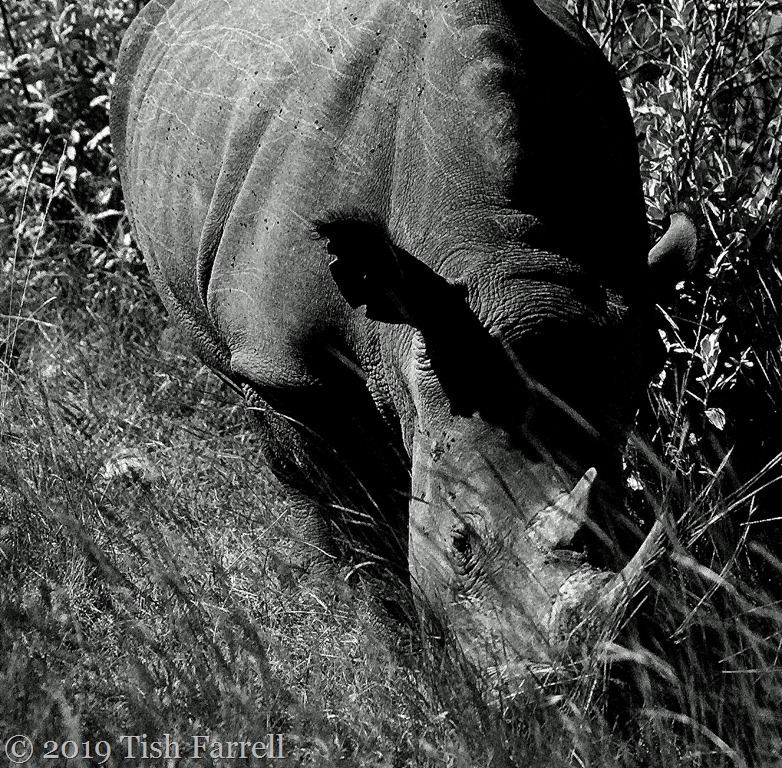 Posted on February 7, 2019 by Tish Farrell	This entry was posted in Africa, Conservation and tagged Cee's Black & White Photo Challenge, Maasai Mara, poaching, rhino, Tish Farrell Writer. Bookmark the permalink. Thanks, Becky. Out in the midday Mara sun too, which usually wasn’t good for photos. Such a beautiful creature. I’ve just re-read your linked post, and find myself all over again in tears of shame for our some humans’ monumental arrogance and stupidity, and so grateful to those who stand against it. Yes, the men and women who try to protect rhinos are true heroes. At the moment things are not going too well to say the least. Pretty close, yes, Beverly. On foot too. This particular rhino was one of several that had been moved to Maasai owned territory where they were being protected from poachers by locals. It was thus rather used to humans. They’re also very short-sighted animals. That is very well put, Dries. So many have been lost in the last year. Lots of collisions with bushes. Large animal populations are particularly fragile, because traditionally they usually lack predators – and then they reproduce slowly. All the more reason to preserve natural habitats and diversity. They were treated like pests during colonial times. Thousands were killed in Kenya alone. And now the rhino horn trade seems to be on the rise again. They must’ve been raiding villages like raccoons do now. But I bet they must have been hard to take on out in the open. I don’t think they raided villages. They’re very solitary and bush country loving, living on quite coarse vegetation, but they can be very bad tempered. The tales of Great White Hunters endlessly tell of being charged by rhinos (which they duly despatched). But they are short-sighted, so are also known to miss their targets. I’m not sure what the precise reasoning was for the colonial onslaught. John Hunter claimed to have killed 1,000 in 2 days in one district in lowland Kenya which is still largely bush country. But then he also had a private safari business, so maybe it was one way of making the bush safer for parties of aristocratic hunters unused to African terrain. Yeah. With hi powered rifles, they don’t stand a chance unless scrupulously protected and preserved. Such a handsome chap! 🙂 🙂 You were quite close! Now that is a very intriguing combo, WW. Now I’m hearing it! 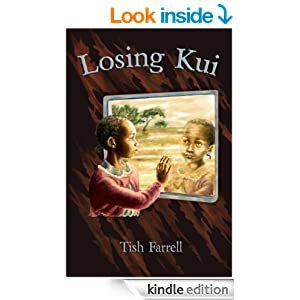 A fantastic picture Tish. Asante sana. Black and white works well in the midday sun and this shows up the texture of the skin beautifully.